To sustain the work of this project we have established 3 rural volunteer hubs within the communities of Winkleigh, Halwill and Woolsery, and we have created a new rural hub in Holsworthy to meet the needs of their aging populations. 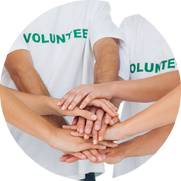 Volunteers will be recruited and trained to provide practical support in the home, and assist older people to take an active part in community life, by developing new activities and social clubs. If you'd like to help with this project, please get in touch.